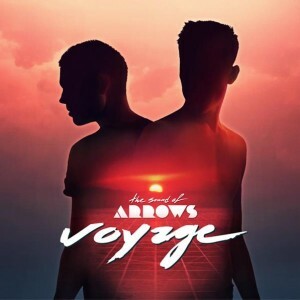 Swedish outfit The Sound Of Arrows were responsible for one of our favourite pop albums of 2011. Lead single ‘Into The Clouds’ (which was released two full years before the album) was an electro-pop gem that’s still super-close to our hearts. Fast forward to 2012 and the boys (Oskar Gullstrand and Stefan Storm) have just released the official video for single No.5 from the album – the altogether atmospheric ‘Conquest’. Sounding like something that may have been lifted from a Vangelis-penned soundtrack, the video features a little bit of the old (a ghostly disused swimming pool), the futuristic (plenty of CGI) and a familiar little car to no doubt transport the viewer between the two. To say this is single No.5 from an album, this is a pretty spectacular video clip. Heck, some of our local artists can manage nary a studio-based clip for a first video these days. Impressive.